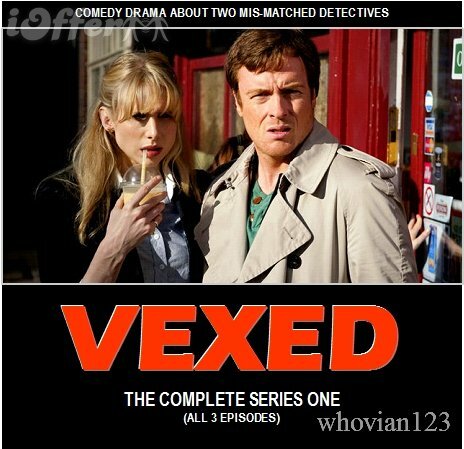 Vexed follows two cops who have very different approaches to their job and life in general and stars Toby Stephens (Jane Eyre, Robin Hood) as D.I. ‘Jack Armstrong’, Miranda Radison will join the cast for series two as newly promoted D.I. ‘Georgina Dixon’, replacing Lucy Punch’s character of ‘Kate Bishop’. Miranda Radison is best known for her role as Jo Portman in Spooks. The series will continue to film in Dublin until April and will be broadcast on BBC2 later in 2012. The series is being funded by the BBC with some funding by the Irish Film Board International Production Fund. In other news a second series for the BBC called ‘Ripper Street‘ set in the time of Jack the Ripper, it is currently in pre-production at Clancy Barracks, Islandbridge. Written by Richard Warlow & Declan Croughan, its produced by Element Pictures. It will begin principle photography in mid-March for 16 weeks on location in Dublin, with production design by Mark Geraghty .The Irish Film Board has provided €475,000 towards the project. Matthew Macfadyen (Spooks, The Pillars of The Earth) has just been confirmed for the lead role.